Its back by popular demand. 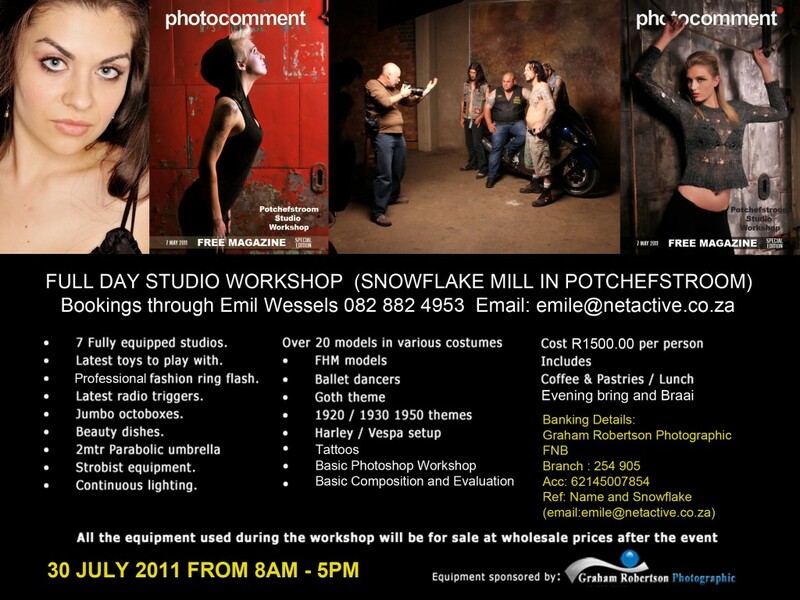 Graham Robertson Photographic and Emil Wessels will be hosting another full day workshop at the old Snow Flake Flour Mills in Potchefstroom on 30 July 2011 from 8am-5pm. Space it limited so be sure to contact them ASAP. See the poster above for more details for check out the event on Facebook.